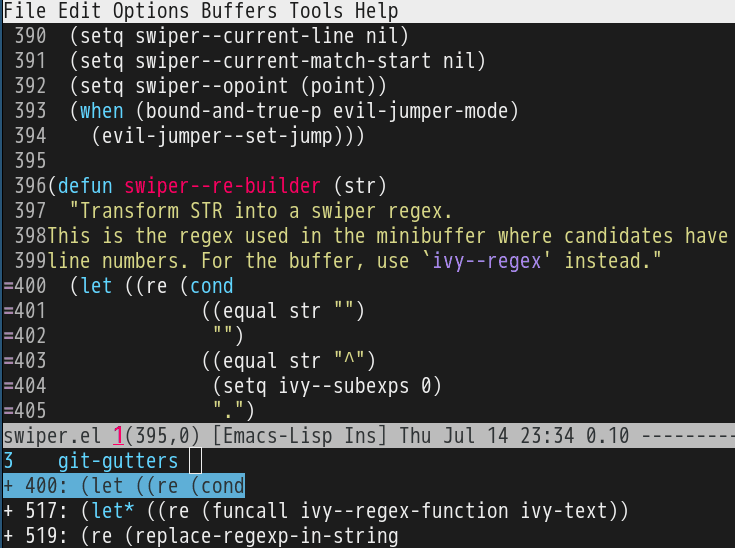 emacs-git-gutter shows an icon in the gutter area. The icon indicating whether a line has been inserted, modified or deleted in Emacs. I usually use M-x git-gutter:previous-hunk or M-x git-gutter:next-hunk to navigate between the hunks. (setq tmp-line (replace-regexp-in-string "^[ \t]*" ""
(cons (format "%s %d: %s"